Our landscape is in a state of constant change. New road, rail and energy infrastructure projects are accelerating as our growing population needs to be supplied and moved around. This is often at the expense of local residents forced to endure years of planning uncertainty, construction noise and environmental concern – affecting the quiet enjoyment and value of their homes. Onshore wind farms, pylons, HS2 and allocated land for fracking exploration have all created heated battles between communities and authorities. Wind power is an ever more attractive renewable energy source and the cost of delivering it has plummeted, especially for on-shore installations. Existing sites create wind turbulence, low frequency “pulsing” sounds and radio interference. Approval for fracking in Lancashire signals the move to open up more extensive exploration sites all over the country – bring potential risks of earthquakes and groundwater contamination. Pylons create electromagnetic radiation which could affect especially sensitive residents living near them. High Speed 2 has a well defined route, but even if you are a mile away, you could still hear it – and let’s not forget the years of construction traffic passing to and fro. Does your client know what issues they could be walking into once the keys are handed over? Details existing and proposed projects such as HS2, Crossrail, wind, solar and other infrastructure assets. Our Energy & Infrastructure expert, Connor Bowman is available to deliver webinars upon request for you and your clients. In it, he discusses the potential impact of new energy and infrastructure schemes above and below ground on your client's property or land acquisition. More than 130 families living on the Shimmer estate in Mexborough, South Yorkshire, may have to leave their homes after the government decided that the HS2 train line should go right through their neighbourhood. Some only moved in days before the route was proposed. They are among 540 homeowners within 100 metres of the new Yorkshire leg of the line who potentially face being forced out of their homes, according to research by the Yorkshire HS2 action groups, who oppose the route. The campaigners argue that an earlier proposal, which would have seen the line go to Meadowhall shopping centre, north-east of the city centre, rather than follow the M18 motorway to the city centre, would have resulted in only 296 residential demolitions. The Government has said that 16 of 216 homes on the Shimmer housing estate will be demolished, but residents dispute that figure. Also, the compensation package offered may not allow some Shimmer homeowners to acquire a similar property in the local area. House prices on the estate have already dropped by an average of 10% of their original purchase prices, according to Carter Jonas. Consultants found that a shortage of similar new-build properties in the surrounding area could lead to price inflation as ousted Shimmer residents bid against each other. At the time the route was announced, 130 houses had been sold on the estate, with a further 90 properties either built or unsold or yet to be built. 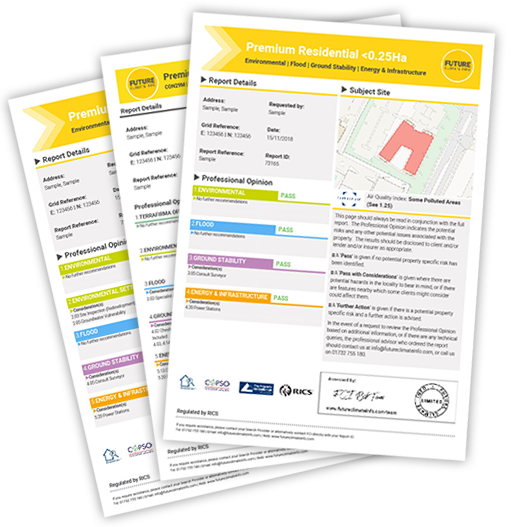 All homeowners can now apply for the government to buy their properties at the “HS2 unblighted” market rate, plus 10% compensation and moving costs. At the sharp end though are those properties not considered for demolition but are so close to the line anyway. 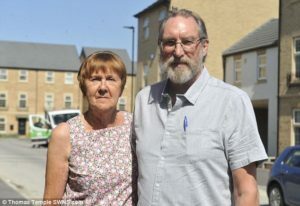 Peter and Sue Douglas bought their house on the estate for £165,000 in 2014 and spent two years doing it up for their retirement. Their home is only five metres from the proposed viaduct, so is not included in the 16 definitely facing the bulldozers and may not get government to buy their home and pay compensation. Because the estate has never been finished (because of uncertainty over HS2) the houses will be undervalued and they face years of protracted negotiations. Plans for a controversial 150ft high wind turbine at Thorpe Satchville near Melton Mowbray, Leicestershire have been passed four years after it was built – marking the end to a protracted and agonising planning dispute that has plagued the village for years. The application for the 46 metre (150 ft) tall wind turbine was first submitted in 2012 and blocked by Melton Borough Council, on the grounds of unacceptable landscape harm. But permission was granted on appeal a year later by a government inspector and the turbine was subsequently erected. Eric Pickles’, the then Secretary of State for Communities and Local Government (DCLG) refused the turbine after planning appeal decisions were called in. This decision was reinforced 2 years later in 2015, when Pickles’ successor Secretary Greg Clark overturned the inspector’s decision and blocked – abd yet after that, a subsequent appeal was overruled and Clarks’ decision was quashed by the High Court. Villagers were incensed that such an industrial installation was allowed to be built in an area of unspoilt beauty, when other options already affected by infrastructure, such as along the M1 motorway had not been considered. The local community now face looking at the looming presence of the wind turbines just a few hundred metres from their homes – an alien feature in the countryside.